Closely related to the flatbed range, but with the addition of a sloping rear bed section, these trailers offer the flexibility of a flatbed with the added benefit of a low loading height to the rear of the trailers. 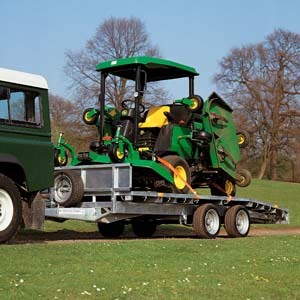 As with all our flatbed trailers, the beavertail range can be fitted with one of our winch options, allowing the recovery and loading of broken down or unpowered vehicles. The beavertail range is offered in width options of 6' 6" and 7' 6" and length options of 14' and 16'. The maximum gross weight for the lighter LT models is 2000kg, whilst the heavier LM models offer the maximum gross weight of 3500kg.